At least where I fly, most instrument approaches now use a Hold In Lieu of Procedure Turn (HILO). The "full procedure" now consists of a turn in the hold before proceeding inbound. Cessna 123AB, proceed direct EYWOK, maintain 3000 until established, cleared for the ILS Yankee approach at Paine Field. Are they required to fly the course reversal, or can they proceed inbound on the final approach course immediately upon reaching EYWOK and fly direct to ITIPE? If not, what instruction must be received in order to skip the HILO procedure? Yes, with this procedure you are required to fly the procedure turn unless you are flying the CVV transition (which is notated as NoPT), are receiving vectors to final, or receive a clearance for a "straight-in approach" over EYWOK. If you are cleared direct to the final approach fix, none of these apply (but remember that you can always request a straight-in approach if you don't want to do the course reversal)! (j) Limitation on procedure turns. In the case of a radar vector to a final approach course or fix, a timed approach from a holding fix, or an approach for which the procedure specifies "No PT," no pilot may make a procedure turn unless cleared to do so by ATC. 4. If proceeding to an IAF with a published course reversal (procedure turn or hold­in­lieu of PT pattern), except when cleared for a straight in approach by ATC, the pilot must execute the procedure turn/hold­in­lieu of PT, and complete the approach. 5. If cleared to an IAF/IF via a NoPT route, or no procedure turn/hold­in­lieu of PT is published, continue with the published approach. 6. In addition to the above, RNAV aircraft may be issued a clearance direct to the IAF/IF at intercept angles not greater than 90 degrees for both conventional and RNAV instrument approaches. Controllers may issue a heading or a course direct to a fix between the IF and FAF at intercept angles not greater than 30 degrees for both conventional and RNAV instrument approaches. In all cases, controllers will assign altitudes that ensure obstacle clearance and will permit a normal descent to the FAF. When clearing aircraft direct to the IF, ATC will radar monitor the aircraft until the IF and will advise the pilot to expect clearance direct to the IF at least 5 miles from the fix. ATC must issue a straight­in approach clearance when clearing an aircraft direct to an IAF/IF with a procedure turn or hold-in-lieu of a procedure turn, and ATC does not want the aircraft to execute the course reversal. 7. RNAV aircraft may be issued a clearance direct to the FAF that is also charted as an IAF, in which case the pilot is expected to execute the depicted procedure turn or hold­in­lieu of procedure turn. ATC will not issue a straight­in approach clearance. If the pilot desires a straight­in approach, they must request vectors to the final approach course outside of the FAF or fly a published “NoPT” route. When visual approaches are in use, ATC may clear an aircraft direct to the FAF. Not the answer you're looking for? Browse other questions tagged air-traffic-control iaps instrument-flight-rules or ask your own question. 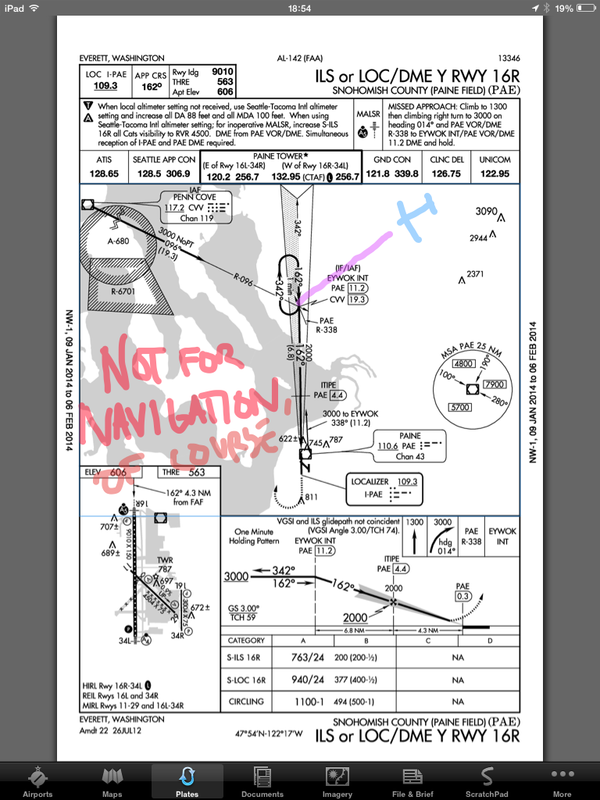 What is the maximum interception angle for ILS when on radar vectoring? 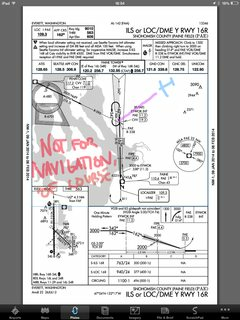 How do you properly enter the NDB34 published approach at Friday Harbor (KFHR)? Can I do a VFR climb-out on IFR flight plan?